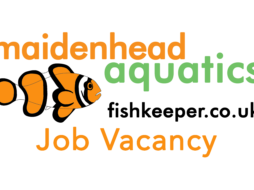 Our store at Iver was the second branch of Maidenhead Aquatics to open and has grown in size and reputation over the years. The store specializes in offering a great range of fish and aquatic goods for all aspects of the fish keeping hobby, with a large selection of Discus and soft water fish along with tropical fish, fancy Goldfish, outdoor coldwater fish and Koi. Drop by for a visit today and you'll be sure to find all you need!